The second Friday of September saw the 21st year of the Ludlow Food Festival. Made famous as Britain’s first successful food and drink festival when it started back in 1995, it definitely proved that it’s still one of the best in the UK. As always its location was hard to beat. Set in the grounds of the ancient Norman Ludlow Castle, everyone seemed to spend as much time perusing the stalls and enjoying the entertainment as they did watching the festival from high up in the castle turrets. Interestingly, this medieval setting is also where the knife skill classes took place. There were far too many cheeses on offer for us to stay in the castle – Fermented Friends certainly drew a crowd handing out some glorious cheese samples, as did Mr Moyden’s stall with his handmade blend of Wrekin blue. Unbelievably – though not for those who tasted it – over 42 wheels of the stuff were sold over the course of the weekend! Aside from gorging on the gorgeous food, Ludlow displayed an impressive line-up of professional chefs. There were some intriguing demonstrations and many top cooking tips divulged, most notably from Marcus Bean, award-winning Indian chef Cyrus Todiwala OBE and TV chef Felice Tocchini. With the help of many a satisfied foodie, the competitions and trails went down a treat, too. Wye Valley Brewery won this year’s People’s Choice Award for their Butty Bach on the Ale trail, whilst the tastiest sausage according to popular opinion was the wild boar, red currant and onion combination from DW Walls & Son. At Ludlow, the people really make the festival exceptional just as much as the wares. True to form, every stallholder was friendly and every visitor got involved. This included participating in the cider press demonstrations, where guests were welcome to quiz the producers and tasting the fruits of their labour. The live musicians were the cherry on the cake. A range of passionate and talented artists were dotted around the festival, and I’m sure anyone who saw the likes of Andy O’Brien and local lad Andy Mills from Shrewsbury will agree that they were incredible.  If you enjoyed the festival just as much as us at Food Festival Finder, we look forward to seeing you again next year! Or, if you just can’t wait that long then the Ludlow Spring Festival, also known as The Magnalonga, will be back on the second weekend of May.